The Facebook Messenger App is helping Zucks create Planet Facebook. As Fb positions itself as the one-stop-shop of all social apps, you will soon be able to use Facebook for everything you do on your smart phone. More third-party applications are either being bought by Facebook, or similar functionality being developed in-house, and rolled out across the entire Facebook Family. (Facebook, Messenger, Instagram, WhatsApp, MSQRD). 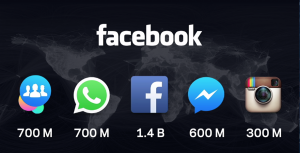 Eventually they will all coalesce into one giant platform. (Which is what has happened in the huge Chinese market with the WeChat app). You may find yourself overwhelmed by all the new gadgets and gizmos that have been added as these updates roll out. You may also wonder who the heck they are for. Sure, fun masks are cool for the kids, but what does that have to do with social media marketing for business? We are increasingly moving away from the old dichotomy of either B2B or B2C marketing. These days marketing is all H2H (or human to human) as brands invest in customer-facing teams who respond to your every woof and tweet. So where does that leave you, the small business owner? Playing catch-up to the current state of marketing and customer engagement. You may feel this is all very futuristic and your small business is doing quite nicely, thank you. I get it. I spent the back end of the twentieth century advising the VW Group dealer network to spend their advertising budget on newspaper ads, 48 sheet posters and bus backs. Signing off layouts for leaflets, flyers and outdoor media signage. The things is, it’s NOT the 90’s or the noughties anymore. It hasn’t been for nearly twenty years now. The internet is not going anywhere. Digital has overtaken every form of entertainment and information. Think about it. When was the last time you used your landline? Who calls it? Unsolicited calls about PPI (or possibly your Mum!) When was the last time you watched a TV show at the time it aired? We all Sky+ our favourite shows or browse Netflix and Amazon for new box-sets. If you DO happen to catch a show “live” … what do you do the moment there is a break? Reach for your phone. That is where the attention is. Even if you say “not me”, you are more and more in the minority as every month passes. 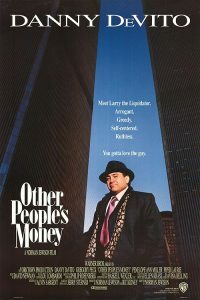 There was a great movie in the 80’s with Gregory Peck (as the company owner) and Danny DeVito (as Larry the Liquidator) called Other People’s Money. The speech Larry gives to the stockholders is exactly what I am talking about. The last company to make buggy whips, in the days before the automobile, was probably the finest in the land. But where are they now? Bottom line: If you ignore the current state of the market, you’re dead. This may sound a bit heavy for an app tutorial, but I want you to grasp why it is important to understand these tools. NOW, before they level-up to a stage where it is all too alien for you to understand. 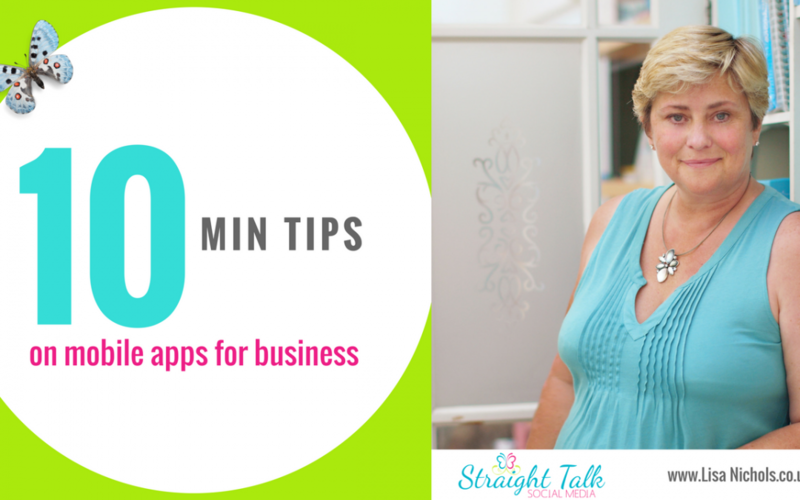 As ever, if you have any questions on this tutorial, you can catch me in my Facebook Group Social Butterflies Gang where there is no such thing as a silly question.